Once upon a time there was a king and a queen. The queen had wanted a child for a very long time but couldn’t have one. One day the miracle finally happened and all the bells in the kingdom started ringing to announce the birth of a young princess. The king and the queen organized a huge celebration for the little girl’s christening. 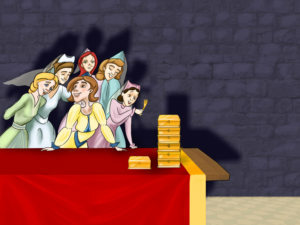 All the seven fairy godmothers arrived to the royal party to give the little angel their gifts. As they were special guests, the royal family had prepared a gift for each of them. Laid on the table in front of each of the godmothers was a gold case, containing a knife, fork and spoon – all made of pure gold and set with rubies and diamonds. As the guests were enjoying the celebration, the door opened with a crash. It was an old, hump-backed fairy, wearing black rags. 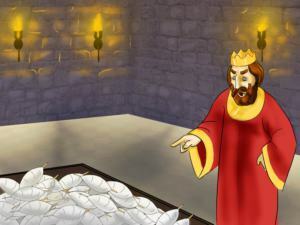 The king immediately ordered to bring her gold tableware, but he couldn’t give her a gold case, because he had only had seven of them made. The old woman thought that they didn’t respect her enough and hissed some curse towards the newborn. Luckily, sitting next to her was a young and a very farsighted fairy, who noticed how fiercely the old woman was looking towards the baby. When the fairies left the table, she hurried to hide herself behind the curtains. 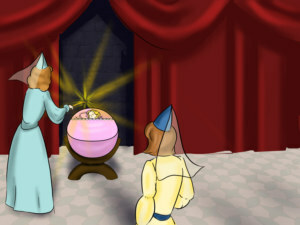 Soon the fairies gathered around the baby and one after another started giving their gifts in the form of a spell. The youngest of them wished for the princess to grow beautiful, the next one wished for the princess to have a kind and generous soul, the third wished for the princess to do everything with grace. 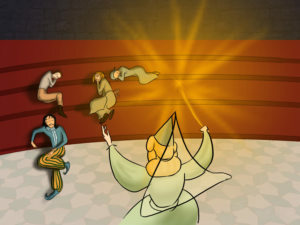 The fourth wished for the girl to dance as light as a feather, the fifth one wished, “May she sing like a bird” and the sixth said, “May she play all musical instruments beautifully!”. Next it was the old fairy’s turn and she bent over the child “May you have your hand pierced with a spindle and die of the wound!” When she said her terrible spell, she grinned showing her ugly yellow teeth. 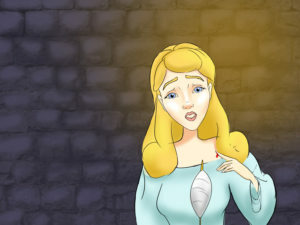 When she saw that she was tricked the old woman ran away crying because she couldn’t do any more harm. To avoid his daughter piercing her finger, the king went out and ordered that all women who owned or used a spindle to be beheaded. Fifteen or sixteen years passed and nothing happened. But one day the young princess was wandering around the castle and noticed something very curious while climbing up the tower. 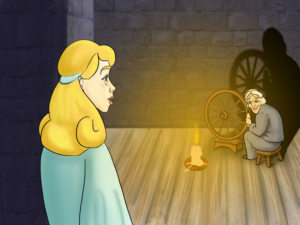 In a small room there was an old lady, spinning her spindle. “What are you doing, madam?” the princess asked and the old woman replied, “I am spinning, your highness.” The princess found the activity really interesting decided to try it. 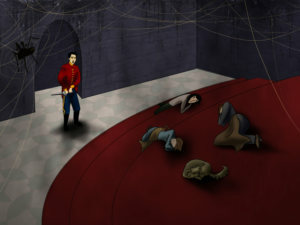 But as soon as she took the spindle, the end pierced the princess’s finger and she fainted on the floor. The old lady cried out for help. In a moment help came and they tried to revive her. Someone sprinkled her face with water, another loosened her clothes, a third massaged her arms, but despite all this the princess lay still. 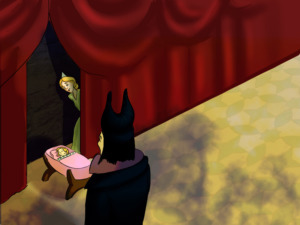 The king arrived and at the sight of his daughter, he remembered the old fairy godmother’s spell. 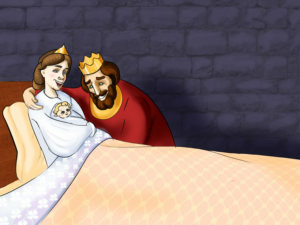 The time had come and the king ordered the princess to be laid on a bed embroidered with gold and silver. As she slept, her beauty remained vivid and she looked like an angel. 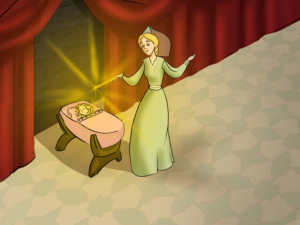 The farsighted fairy godmother that had saved the girl’s life was told what had happened. She rushed to reach the kingdom as fast as possible, because she was twelve thousand miles away. 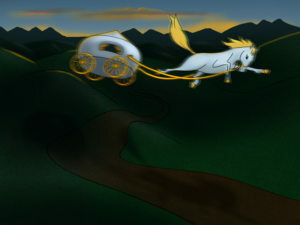 When she arrived the king helped her out of her magic coach. 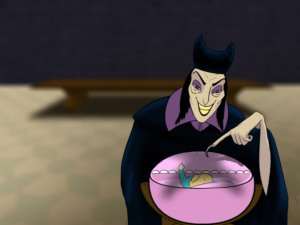 When the fairy godmother saw what had been done by the time she arrived, she was impressed. 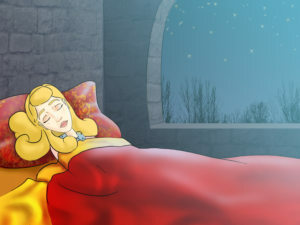 However, the thought of the princess waking up a hundred years later, surrounded by people she didn’t know terrified the fairy, and so she put everyone in the king dom into a deep sleep. Nannies, servants, noblemen, butlers, soldiers and even the princess’ small puppy went to sleep. Then the king and the queen wiped their tears away, kissed their child and gave the orders that no one should approach the castle. 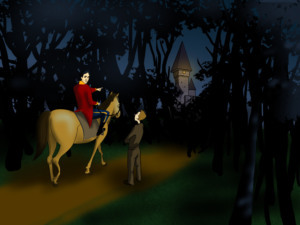 In less than fifteen minutes thick and dark woods and bushes grew before the eyes of the king and the queen. 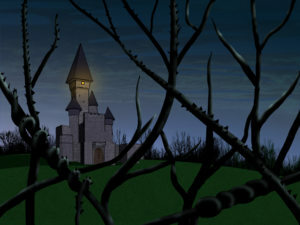 No one could see the castle and even if they saw it no one would have the courage to enter. 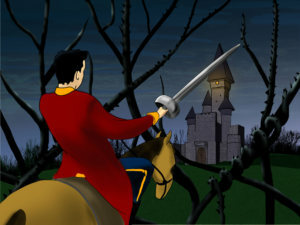 At the news the brave prince went into the woods and fought for a long time with branches and roots. As soon as he got past one tree, the woods would close up behind him. 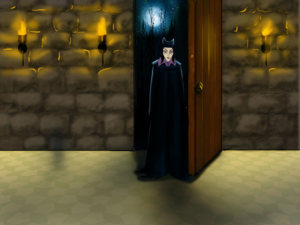 He found this scary but spurred himself on with the thought that he might be the chosen prince from the story. The prince finally reached the castle. He was shocked to see people sleeping everywhere! Judging by their clothes, they had been there for a century! Everyone else in the kingdom woke up at the same time. They all went back to work. The prince and the princess organised a lavish wedding and invited the whole kingdom to it. There was food and drinks for everyone. 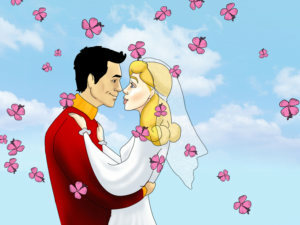 The brave prince married the beautiful princess and they both lived happily ever after.